Congratulations to HilarysHats! She is the winner of the Oh, Canada! Team Treasury challenge. 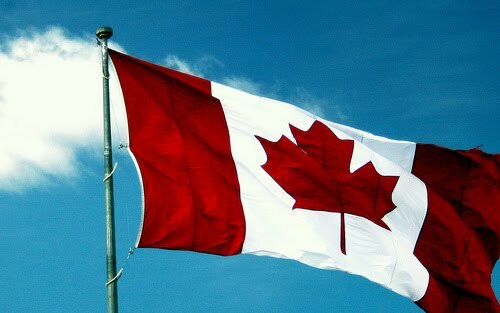 Thank you to all the outstanding members of the Oh, Canada! Team who curated an amazing 50 treasuries! 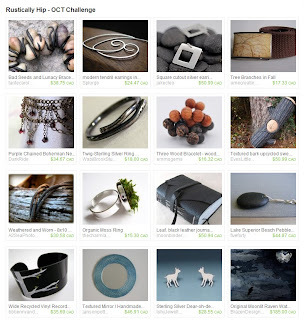 HilarysHats has chosen this lovely piece from her shop for the next round of the OCT Challenge. 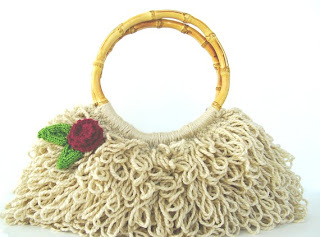 Please include this purse in a treasury with at least 10 other Oh Canada Team Members. What would be really great is if the last 6 are also Canadian Etsians too, but they certainly don't have to be. Then, come back to this blog post and put the link to your treasury in the comments. The Challenge will end on Wednesday March 16th at midnight EST. You then have 5 days to vote for the most popular Treasury. 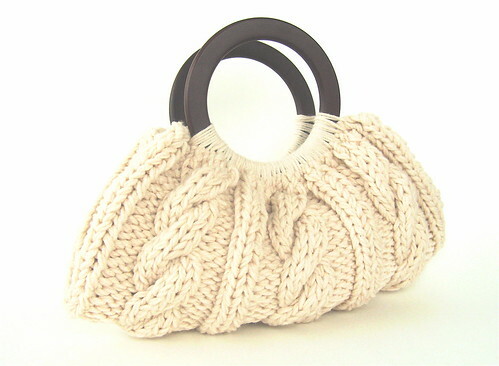 This lovely knitted handbag comes from Hilary's Hats. In her shop you will find bright coloured hats, cowls and of course these wonderful handbags with the cable knit stitch that gives it such wonderful texture. I really love the colours that Hilary selects for her handbags from this lovely ivory to bright orange! I also love the handles she incorporates into these bags. 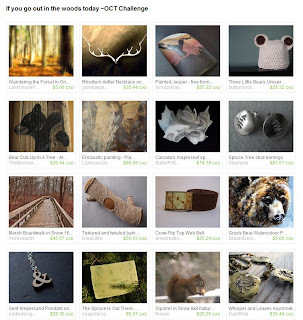 I am a knitter myself and I recognize great talent! Please take a peek at this colourful shop. Copyright 2011 Oh Canada Team and Hilary's Hats. Congratulations to the 4 finalists 72Studios, WestCoastGlass, bstudio and HilarysHats ! Voting is open until Feb. 27th at 12am EST. 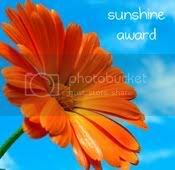 The winner will be announced on February 28th. Thanks for playing, and good luck to our finalists! 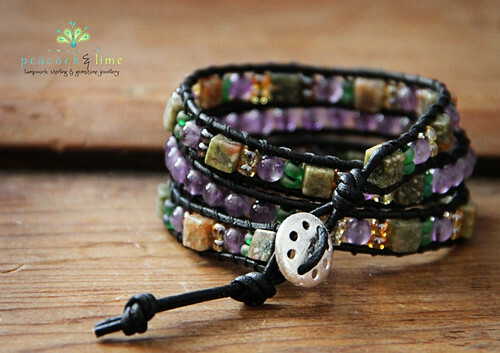 ﻿Triple strands of amethyst and fancy jasper are wrapped onto black leather to create this organic yet pretty bracelet from peacock and lime. This eye catching bracelet is one of a number of bracelets she has in her shop. As well as bracelets there are some spectacular necklaces and lovely bookmarks for sale. 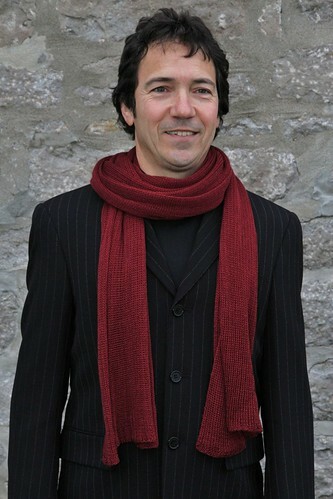 ﻿This ecco friendly unisex shawl is named Breezy Pomegranate. The creator is annymay. In her shop you will find fashion clothing and accessories made from ecco friendly fibers and materials. She designs and makes all her items, creating clothing that is comfortable and respectful to the body and the environment. Some of the ecco friendly materials she uses is bamboo and tencel, which is woodpulp made from ecalyptus. In her shop you can purchase such things as scarves, hats, dresses and jewelry. Copyright 2011 Oh Canada Team and annymay. 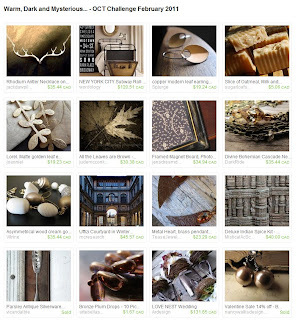 Part of the fun of browsing Etsy is discovering new talented artisans everyday. Finding unique handmade creations that appeal to something in you and evoke a sense of wonder. Being inspired by someone else's ability to create something from nothing. That's what Dazzling Dezignz has to offer. Beautiful jewellery designs with the ability to inspire. Elisa: I can’t say that I have a favourite style. I love making a variety of different styles to suit the many personalities of women out there. I lean more towards items that are simpler and will go with a lot but then certain personalities and outfits need a more pronounced statement. Elisa: I live in a city where, for some reason, jewellery making supplies are only available at the local Michael’s store. So therefore, jewellery making classes are also in short supply. I not only buy my supplies online (Etsy being the perfect place!) but I also research techniques and materials online. There are great videos on the web that show step by step instruction. Mostly I’ve learned by just practicing, practicing, practicing! Elisa: I love being able to create unique pieces that will make the wearer feel beautiful. It all starts... and ends... with the perfect accessory! I sometimes dream about a design and then I can’t do anything else until I make it. Often I have one element in mind and then I work around that to create the perfect piece. Elisa: Right now I’m researching through books and the internet about wire wrapping and making elements from wire. I’ve just started so you won’t see a lot of that in my shop probably until the summer. I love all the endless possibilities there are with wire in jewelry making. I can’t wait to learn it and apply it to some of my designs. Elisa: Every year I do a fundraiser for breast cancer research. Last year I made bookmarks and half of the proceeds went to the CIBC Run for the Cure. I want to do it again this year but I’d like to do something different. I have a couple of ideas but there’s nothing concrete yet. I’m hoping to get it in my shop by the beginning of summer because that is when I start doing my fundraising for the Run. Elisa: I absolutely love how friendly everyone is and how readily they give tips and advice. I have met a few wonderful people on Etsy. I don’t think Etsy would be the same if they didn’t offer the forums to meet people and discuss everything from their shop to what’s going on in their life. It really is an extension of your family and friends. Elisa: Well, I’m still fairly new myself but my number one tip would be not to give up! It’s a lot of hard work but it’s fun and rewarding. Just keep with it! 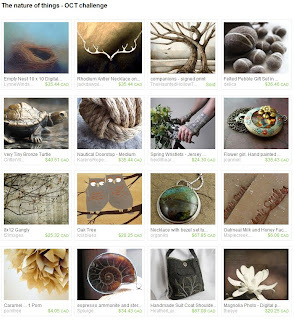 Elisa: I’ve bought a number of things on Etsy. Mostly it’s jewelry supplies but I’ve also bought a few things for my kids. It’s amazing the different and unique things you can find here. I love it! Elisa: I don’t have a number one best item as most of my pieces are one of a kind. You will find many different styles in my shop for the many different personalities of women out there. So please come back from time to time as I add more things almost daily. You never know what you might find! You can keep up with Elisa from Dazzling Dezignz on Facebook, Twitter, and Tumblr. Visit her shop to see more of her creations. She'll be glad to have you drop by. Congrats to JackdawPilate! She is the winner of the Oh, Canada! Team Treasury challenge. 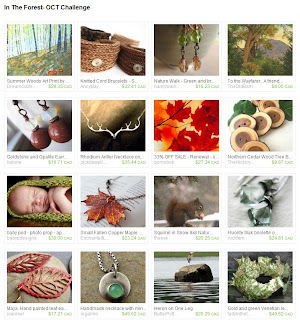 Thank you to all the outstanding team members who curated 23 amazingly beautiful treasuries. 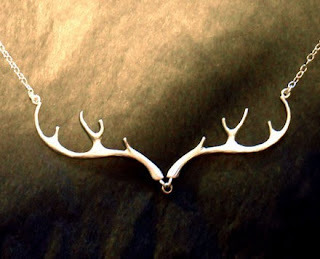 JackDawPilate has chosen her Rhodium Antler Necklace on Sterling Silver. Please include this necklace in a treasury with at least 10 other Oh Canada Team Members. What would be really great is if the last 6 are also Canadian Etsians too, but they certainly don't have to be. The Challenge will end on Wednesday February 23rd at midnight EST. You then have 5 days to vote for the most popular Treasury. I must admit I am familiar with this bracelet as it caught my eye when it was listed! 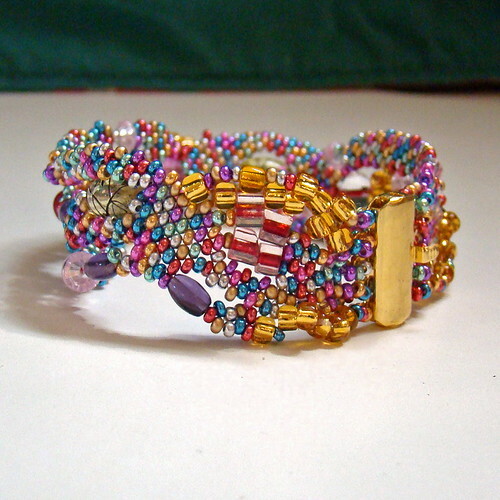 This week's Friday Finds features this very colourful Mexican Carnival beaded bracelet by AngelqueCreations. I love the freeform style of the bracelet, the selection of differerent sizes of beads, the brilliant colours of Mexico and the gold clasp she chose for the fastener. In her shop you will find creative and colourful beaded items to wear. Perfect for gifts or to treat yourself!